This remarkable Grade 2* listed building is a rare survival: a late medieval 4-bay cruck-framed thatched hall house, probably of the late C15. The original 4-bay interior survives, with the 2-bay open hall and single-bay chambers at either end. 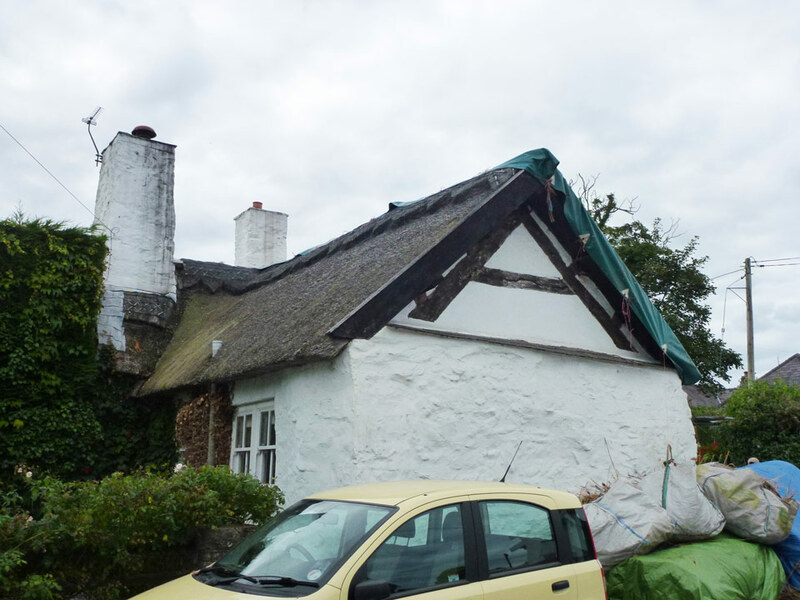 A later extension has a modern slate roof, and the junction between the thatch and the slate has been the source of continual weathering problems. This is a notoriously difficult junction to detail, and therefore the owners decided they wished to thatch the whole building, thus eliminating years of water seepage. Listed Building Consent was granted for the works in 2013. 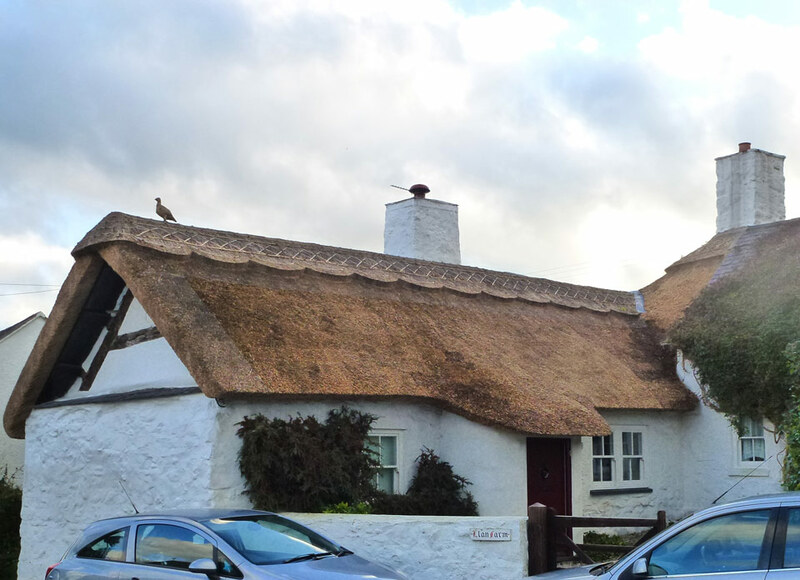 The original roof was professionally re-thatched that year, and the photographs show the gable onto the road was revised: the ugly barge boards were removed and the correct gable thatching detail was adopted. The roof of the later extension is scheduled for thatching in late 2014. The house is well-known in North Wales, and the black and white photograph shows a former occupant, Mr Jabez Jones, Sexton, outside the house in 1912. He died in 1915 aged 84.